Like i`ve allready said in my first bechmarking (written in Bahasa) with firefox3 (first day). Owh yes, until today im not going to change my opinion about this version (ask my "top", if you dont believe it :lol:). 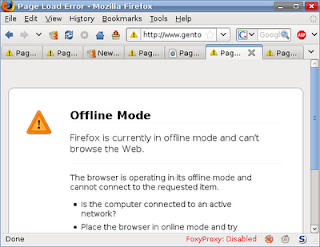 "Firefox 3.0 are rockz!!" (it runs smoothly, faster and light), and below are my second benchmarking about how is it goin with my firefox3 and my Gentoo lately. "Mess on Emerge :(", Actually, after upgrading my firefox into version 3.0, ive (i mean my Gentoo) got some problems, but, its not firefox fault/problems. 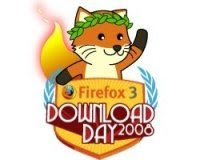 AFAIK, firefox 2 are still needed by the system because many apps depends to it (for example: openoffice, epiphany (epiphany are needed by gnome, so firefox needed by gnome too, somehow)). Well, you can check it using "equery". "Offline Mode? ", Here`s the second things, also (IMO) its not a bug or fault made by firefox, in contrary, i think its awesome. Yes, Firefox detect network connection through "gnome network manager", But i hate the way it detect the network connection, altough its a legal/easy way (using gnome legacy) but its not even detect my "ppp" (because gnome dont list it and i dont registered it; As you can see from the images ). And Our mighty Firefox automatically set the browser (FF3) to working offline and we need to uncheck the working offline options from "File" Tab. So there you are, (gentoo) gnome-network-manager should detect/list all device or firefox could made special engine to do so. "SSL sites strict mechanism"; As an IT security slaves, i think this feature was the best changes to browser security support. 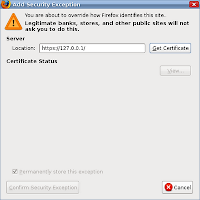 Yes.. firefox find a new way to push a user to check site certificate, it will help user to survive from any kind of SSL MITM attack which fake a server certificate as a way. 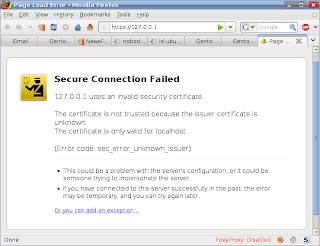 Some other browser already implement some improvements (block strange certificate, but failed handling the "add exception" feature), but they dont pushes the user to examine the certificate like firefox do with "Add Exception" and pushes the user to enter "Get Certificate" (inqury the certificate slowly and readable) and last, they can confirm the security exception.